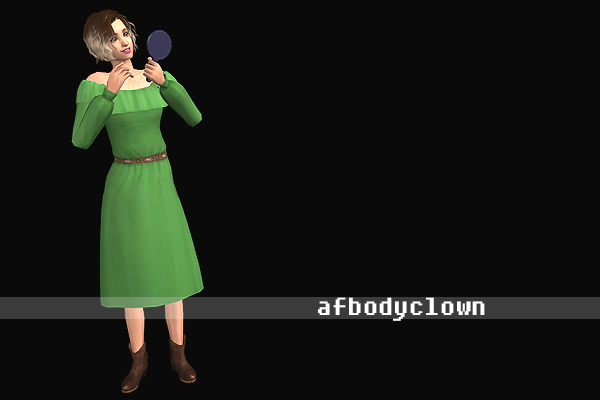 afbodyclown (FT) replaced with this. afbodydonnatopstinacapris (H&M) replaced with this. 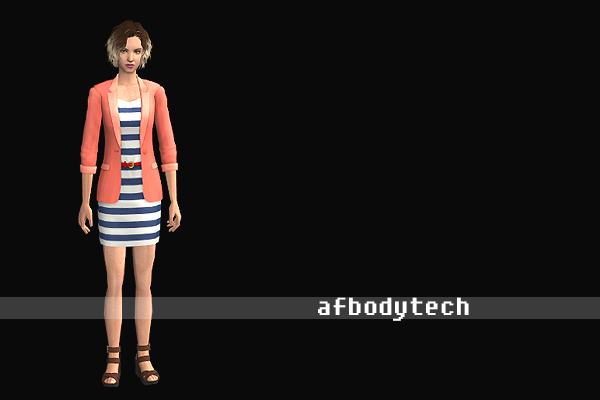 afbodydressaboveknee (BG) replaced with an outfit by Trapping. afbodyninja (OFB) replaced with this. afbodyresortshirtpants (BV) replaced with a dress I downloaded with a sim from I have no idea where. afbodysundress (BG) replaced with this. afbodytech (FT) replaced with this. afbodytweedjacket (BG) replaced with this.